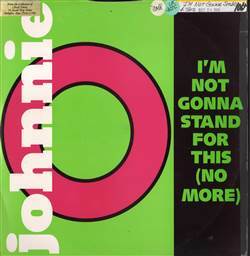 Johnnie O - I'm Not Gonna Stand For This (No More) 12"
SYNTHPOP, PWL Records, UK, 1989... I'm Not Gonna Stand For This (No More), I'm Not Gonna Stand For This (No More) (The Lethal E Underground Mix), Blood And Soul. Starpoint - He Wants My Body 12" Bonnie Tyler - Band Of Gold 12" Donna Summer - She Works Hard For The Money LP Mick Jagger - Just Another Night 12"
Donna Summer - She Works Hard For The Money LP Gloria Estefan - Into The Light LP System - The Pleasure Seekers 12" Simple Minds - Waterfront 12"